Q: I am trying to serve a person for a civil matter, but they refuse to accept it; what can I do? (e) if it is not practicable after reasonable inquiry to ascertain the name or address of an owner, lessee or occupier of premises on whom the document should be served, by addressing the document to him by the description of “owner” or “lessee” or “occupier”, as the case may be, of the premises (naming them) to which the document relates, by affixing it, or a copy of it, to some conspicuous part of the premises. 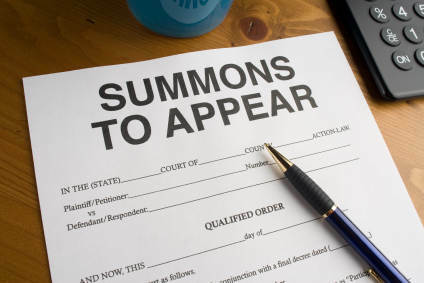 How long after I am served a summons do I need to respond to the court? I recently took my childfather to court for child support. He is a police prosecutor at that court in question, wat is de best advice you can give since i think he might get curry favor over me.